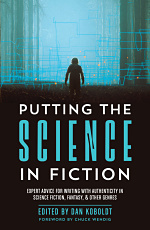 This article on binary poisons is part of the Science in Sci-fi, Fact in Fantasy blog series. Each week, we tackle one of the scientific or technological concepts pervasive in sci-fi (space travel, genetic engineering, artificial intelligence, etc.) with input from an expert. Please join the mailing list to be notified every time new content is posted. Jane Prosser, MD practices Emergency Medicine and Toxicology. 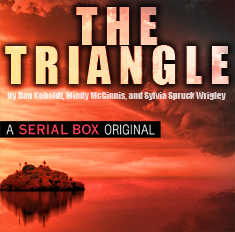 She writes thrillers that combine action with science and medicine. 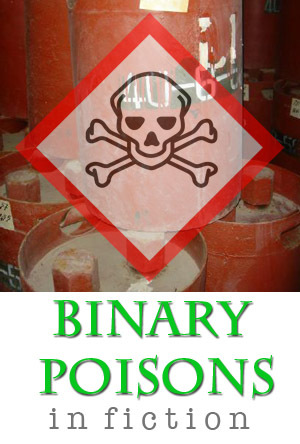 Binary poisons are toxic substances produced from the combination of two less toxic precursors. Why bother? The less toxic precursors offer several advantages. They are safer to store and transport. Accidental release, unlike accidental release of the binary poison itself, results in minimal damage. Additionally, it’s easier to camouflage the precursors as innocuous ingredients, not subject to inspection or regulation. Simply stated, binary poisons are easier to conceal. Mixing of the precursors can occur at the time of the poisoning, thereby minimizing injury to the poisoners. The precursors can be stored in separate compartments of a warhead and mixed at the time of its release to maximize injury on explosion. Recently, binary poisons have made headline news due to use in the assassination of Kim Jong Nam and assassination attempts on former spy Sergei Skripal and his daughter. Simple household products or sophisticated chemical compounds whose formulas are state secrets, mix to create binary poisons. Detergent suicides became a popular method of suicide in Japan in 2008. 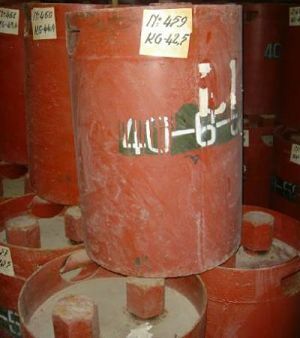 Hydrogen sulfide (H2S) is a “knockdown gas”. Two or three breaths of a high concentration in an enclosed space is instantly lethal. Hundreds of people have committed suicide by inhaling hydrogen sulfide gas after mixing household ingredients inside an enclosed car. Numerous websites detail recipes and instructions for the production of H2S gas with easily obtained products. Mixing hydrochloric acid with sulfur causes the release of hydrogen sulfide gas. Hydrochloric acid can be found in toilet bowl and shower cleaners. Sulfur is in pesticides, fungicides, lime sulfur and dandruff shampoo. Bystanders, neighbors and emergency medical personnel have become ill after unintended exposure to the gas. The websites often include a pdf for printing and placement on car windows to alert responders to the hazardous gas inside. Even unintentional combination of cleaning products can result in toxic gases. Chloramine gas generation occurs by mixing bleach and ammonia. Release of chlorine gas occurs if bleach combines with an acid, like vinegar. Both of these gases cause lung irritation. 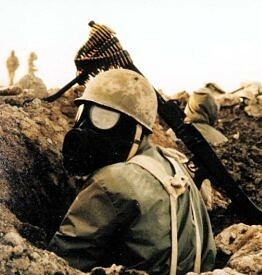 Chlorine gas in high concentrations causes respiratory failure. Chemical weapons, specifically nerve agents, are often binary toxins. Binary nerve agents have increased shelf life when stored as precursors. And it’s easier to hide the less toxic ingredients from chemical weapons inspectors. Sarin, used in the Tokyo subway terrorism attack, is a volatile organophosphorus (OP) agent. Both inhalation of aerosolized gas and dermal exposure are lethal. A single drop is enough to kill an adult. In 1995, during rush hour in Tokyo, members of the Aum Shinrikyo cult brought bags containing liquid sarin onto the subway. They punctured the bags with sharpened umbrella tips, causing the volatile liquid to ooze out. Eight people died and hundreds were injured. Sarin, CH3-P(=O)(-F)(-OCH(CH3)2), is made from methylphosphoryldifluoride plus isopropanol. Isopropanol is rubbing alcohol. Soman, another chemical weapon, CH3-P(=O)(-F)(-CH(CH3)C(CH3)3, is an admixture of methylphosphoryldifluoride and pinacolylalcohol. Aum Shinrikyo had previously used VX in both attempted and successful assassination attempts on dissident cult members and rival cult leaders. VX-2 is often used to refer to the binary version of VX, CH3-P(=O)(-SCH2CH2N[CH(CH3)2]2)(-OC2H5). VX-2 is made from the combination of O-ethyl O-2-diisopropylaminoethyl methylphosphonite (QL) and sulphur. The toxicity of all these precursor agents is low to nonexistent in humans. VX-2 is the agent used in the dramatic assassination of Kim Jong Nam, brother of North Korean Dictator, Kim Jung Un. Security footage from the Kuala Lumpur International airport, shows two women each smearing an oily substance onto his face. The substance was obviously rapidly acting and extremely toxic, as Kim Jong Un collapsed and died minutes later. However, the women were not wearing gloves and showed no signs of toxicity themselves. Subsequent investigation revealed that each woman carried one of the two ingredients. When combined on his face, they became the highly lethal VX-2 poison. Sarin, soman and VX are all organophosphorus compounds. OPs are ubiquitous substances used as insecticides. OP insecticides are a leading cause of suicide deaths worldwide with a fatality rate of 10-20%. 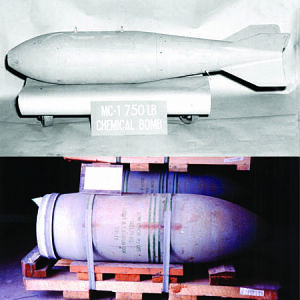 Sarin, soman and VX were weaponized by the Germans during World War II, though use in chemical warfare wasn’t documented until the Iran-Iraq war. Organophosphates cause toxicity by increasing the amount of acetylcholine in the body. Acetylcholine is a neurotransmitter found in nerve endings. It transmits messages from one neuron to the next. OPs inhibit acetylcholinesterase, the enzyme responsible for breaking down acetylcholine. Excess acetylcholine results in excessive stimulation of the nerves. Medical students remember the effects of OPs with two mnemonics, SLUDGE and the killer Bs. OPs cause salivation, lacrimation (tearing), urinary incontinence, diaphoresis (profuse sweating), GI upset (diarrhea), and emesis (vomiting). The killer Bs refers to the effects resulting in death, bradycardia (slow heart rate), bronchorrhea (fluid in the lungs) and bronchospasm (asthma). Patients have small pupils, rapidly become unconscious, and develop seizures, coma and death. People who survive the initial effects, are at risk for developing neurological dysfunction and muscle weakness. Known as the intermediate syndrome, the effects can persist for several weeks. Decontamination is critical to prevent on going exposure. Exposed areas should be washed three times with soap and water. Treatment of OP poisoning focuses on airway management and reversal of the effects caused by excessive acetylcholine. Autoinjectors are issued to soldiers who may be exposed to nerve agents for immediate treatment in the field. Different medications are contained in different autoinjectors, but commonly include atropine and an oxime. In the hospital, treatment starts with intubation and mechanical ventilation to prevent respiratory failure from fluid and bronchospasm. Atropine is the mainstay of medical therapy. It works to antagonize the effects of excessive acetylcholine at nerve receptors. The dose is escalated until patients are “atropinized” when they have dry skin, a rapid heart rate, large pupils and normal lung sounds. Treatment with oximes, to help the enzyme acetylcholinesterase regenerate, is controversial at this time as recent studies have not shown a benefit. Valium is used to treat seizures. Novichok agents were a focus of research and development in the Soviet Union and Russian from the 1970s-1990s. Novichok means ‘newcomer’ in Russian. They are nerve agents specifically designed to evade detection by international weapons inspectors. The precursors were concealed as pesticides and other relatively innocuous compounds. The chemical formulas for the binary poisons were state secrets and the Russian government denied the existence of Novichok agents until 2018. At least five different novichok agents exist and are reportedly 100-1000x more potent than VX, the most potent of the traditional nerve agents. Novichok agents work like OPs, by inhibiting acetylcholinesterase. Their other effects are poorly understood, but likely, based on occupational exposure and poisoning reports, cause permanent nerve damage. Unlike sarin, they do not degrade rapidly and therefore persist in the environment. In March of 2018, ex-Russian spy Sergei Skripal and his daughter Yulia collapsed on a park bench in the UK. Subsequent investigation by the British government found a novichok agent was smeared on the handle of their front door. Speculation exists about which novichok agent was used, but one has not been publically identified. Both Sergei and Yulia survived. Binary toxins are powerful poisons. They are safe to transport, easy to use and very lethal. The precursors are difficult to detect. These qualities, unfortunately, make binary toxins ideal for use in assassination and terrorism. Suchard, JR. Chemical Weapons. Goldfrank’s Toxicologic Emergencies. 10th McGraw Hill. 2015. Nerve Agents. Organisation for the Prohibition of Chemical Weapons https://www.opcw.org/about-chemical-weapons/types-of-chemical-agent/nerve-agents/. Last accessed 5/18/2018. Roth A, McCarthy T. It’s got me. The lonely death of a scientist poisoned by novichok. https://www.theguardian.com/world/2018/mar/22/andrei-zheleznyakov-soviet-scientist-poisoned-novichok#img-5. Last accessed 5/18/2018.